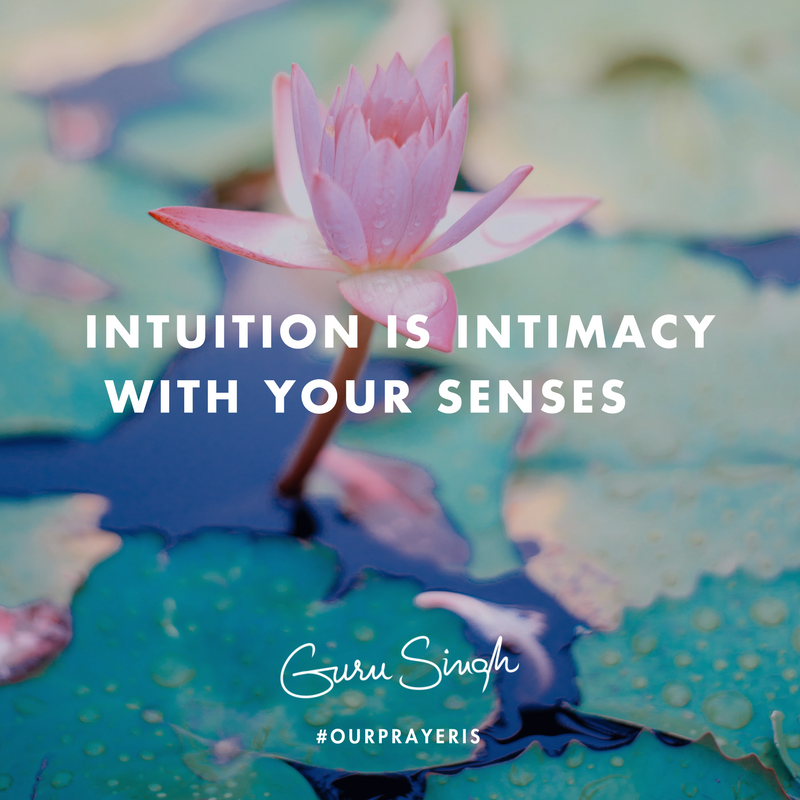 Intuition -- the exact knowing of a moment -- begins functioning when you accept that you don't know what you know -- for it is then that you allow the information that is everywhere, to be where you are. When you don't claim to know what you know, you bring no pretext into the moment -- then, within the very moment -- the 'what' needs to be known, becomes the 'what' you intuitively know . . . obviously presented in a way that's recognizable to your honest vacancy. At this level of intimacy with your senses, the quality of life is measured with heartbeats and breaths . . . thoughts are noiseless, and your intuition is the attitude within your inhale and the voice of your exhale. The massive indoctrination of social noise in today's world is what pre-programs you, it causes you to lose touch with your -- very natural -- intuitive presence . . . that deep knowing presence that's everywhere and always available. Our prayer is that you practice touching your breaths and heartbeats . . . be with your presence, and without thought . . . lean on your intuitive nature and master each moment, and be in silent peace within all the noise.